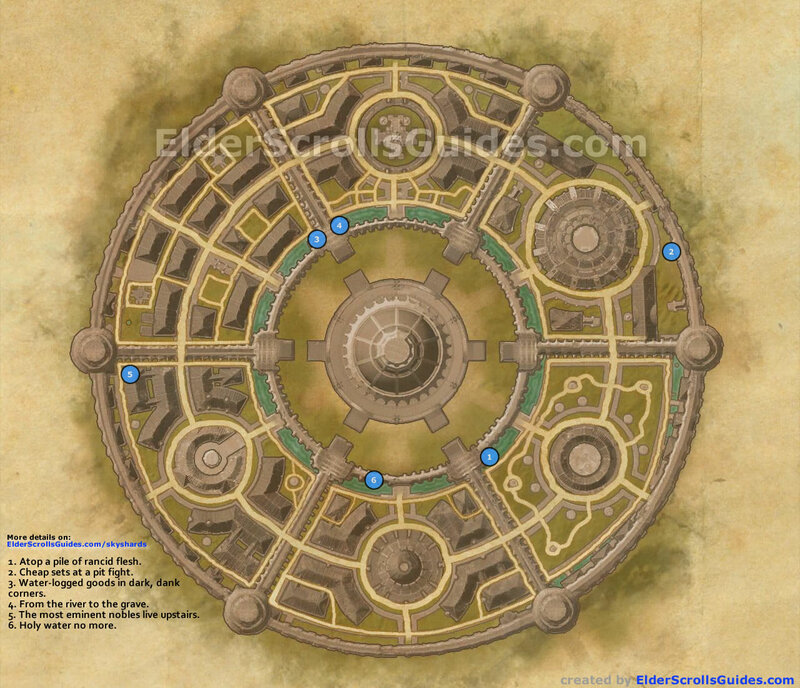 Imperial City zone contains 7 skyshards, and the map below indicates their locations. Indicated with blue numbers are outdoor skyshards, and indicated with red are indoor ones. Note: these first 6 skyshards are found in Imperial City, but there are 7 more in Imperial City Sewers! See our Imperial City Sewers skyshards map to find next seven, or read our Imperial City Guide for more information about this area.